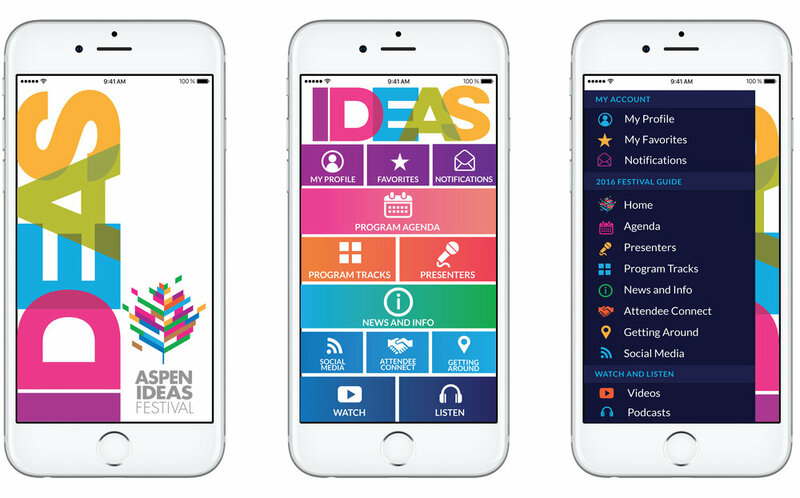 What’s in an idea? 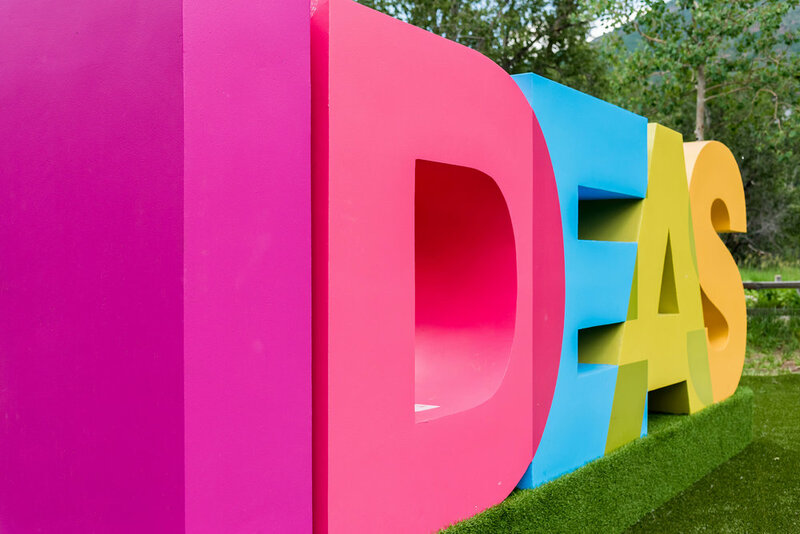 Every year thousands of people from all over the world and across many disciplines gather in Aspen for the Aspen Ideas Festival to engage in deep discussion of the ideas and issues that challenge our times. Kissane Viola Design was asked to design a look and feel that celebrated ideas in a “festive” and serious way. The design direction was applied on print material and in different applications on campus, online and on a smartphone application. 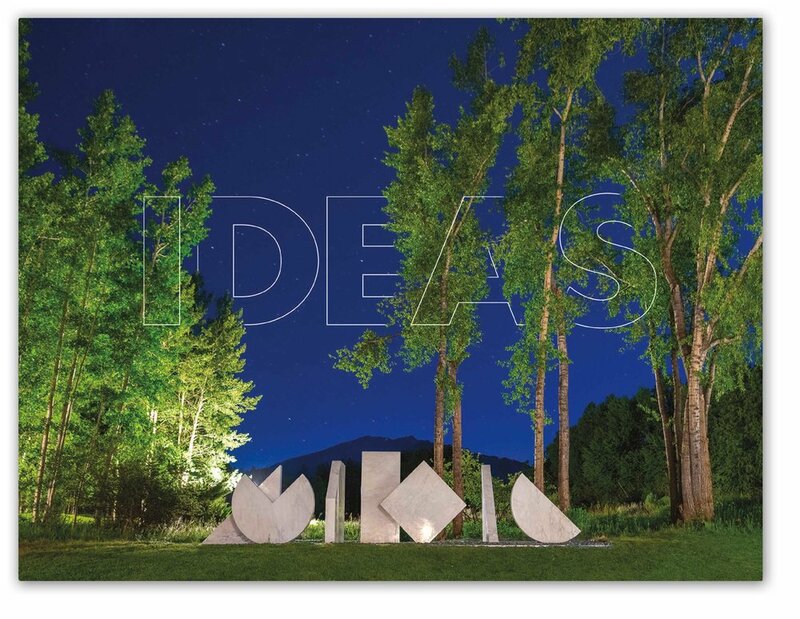 Using the color palette from the Aspen Ideas Festival logo, KVD worked with editors to pull specific words from each program track to set the tone for the ideas to be shared. Each year after the festival has ended, a yearbook is designed to share the ideas that were presented. This piece is meant to be kept as a special keepsake. KVD likes to explore different print materials, images, and their relationship to words and ideas. KVD designed the cover of the 2018 cover using a gorgeous photo taken by Dan Bayer. The typography is meant to be subtle and is playful integrated into the image.